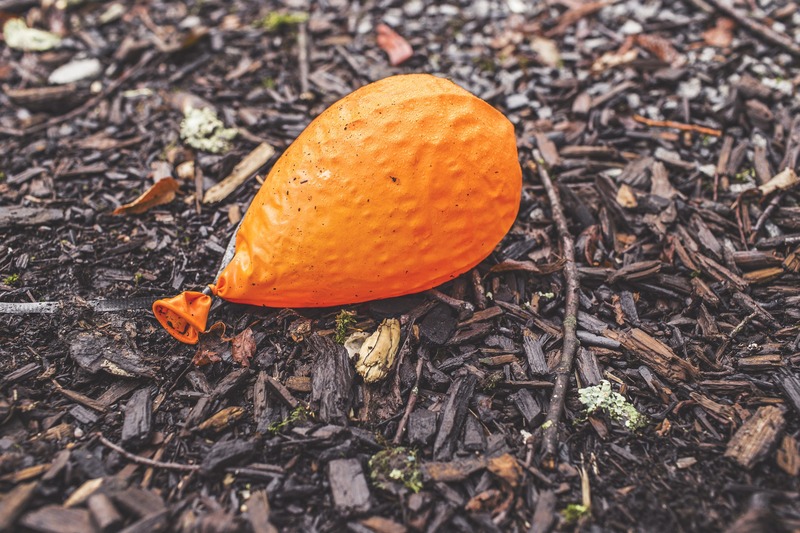 Deflation – Bring it On! Originally written by Comicus Muo for the old Llanellitown.com website which later became the West Wales Chronicle and is included here it’s still relevant. We’ve heard a lot lately about how the UK economy has been threatened by the ‘spectre of deflation’ and how this economic disaster has to be averted. Speaking though as the ordinary man in the street I have to ask myself who the hell is it hurting? The pound in my pocket buys more than it used to and this has to be a good thing. Isn’t true to say that for the last few years since the economic crash in 2008 we’ve been overcharged by big businesses for just about everything. I don’t know about you but I am fed up to the gills of predatory capitalism. Whether it’s the electric or the gas bill going up like a rocket and falling like a feather or the never ending increases in petrol prices or the hike in food prices or a wide variety of things that we all need but somehow or other are obliged to pay through the noses for. I would like to say that I’m a member of the squeezed middle, but actually I’m a member of the squeezed bottom and lately I’ve been milked like a cash cow as the super-rich continue to drain all vitality and wealth out of society as a whole. Trickle down economics is a lie. Having rich folk living amongst us doesn’t actually do us a lot of good, as let’s face it one man or super rich woman might have the buying power of a thousand ordinary folk, but for all of that they can only wear one suit at a time and one pair of shoes at a time. They can only live in one house at a time and the very fact that they might own two or three is causing more economic problems further down the line that we all suffer with such as ever increasing house prices. It’s my personal opinion that the super-rich are actually financially obese and it’s just as harmful to them as being physically obese. The flipside to this of course is the fact that ordinary folk are in fact financially starving due to the effects of zero hour contracts, or less than inflation pay increases which economically still equate to a cut in buying power. Meanwhile company directors of the bigger firms have had no end of pay rises some of which have been a staggering 14% per year for improvements in performance. They are financially obese, big fat, stinking parasites. Company fat cats that don’t even pay their taxes using legal but still immoral loopholes to hide their economic fat. What most annoys me about these rich folk is that whilst they are happy to reap the benefits of our society that collectively we all make, they never seem willing to pitch in and roll up their sleeves and pay their way. This week it’s been announced that the tax dodging might be in the region of anything between 34 and 134 billion pounds annually missing from the exchequer. This is a relief as a few years ago I heard that it was 150 Billion! Meanwhile there are 3000 government employees chasing fraudulent benefit claimants and only 300 workers chasing high powered tax dodgers. Let me put that in perspective for you. If true the upper figure represents about 10% of GDP. The uk economy averages around about 1.5 Trillion Pounds per year in terms of Gross Domestic Product. Ten percent of that comes out as 150 Billion. According to the UK Public Spending Website that is more or less directly equivalent to paying for everyone’s’ pension entitlement for a year. So if you’re wondering why old people don’t have a hell of lot to live on it’s because rich people don’t pay their taxes, but there again why should they care? They don’t need a pension. Defence is actually rather tragic at a mere 46 Billion a year. So if you’re wondering why our soldiers don’t have boots and have guns that jam and our aircraft carriers have been retired it’s because rich people don’t pay their taxes, but there again why should they care? If we’re invaded or nuked by the Russians they can afford to go and live somewhere else? Before we even get into other stuff such as the interest payments on the national debt we need to consider that there are wolves amongst us. Predators and producers to paraphrase the words of left leaning and unelectable Ed Miliband. Who, recently wounded by attacks on him that he’s anti business has completely dropped the ball in his own defence. Ed should be making it plain that big businesses that don’t pay their tax are distorting the market and by wanting everyone to pay their fair share he’s actually pro-business. The local firm that does everything right, pays it’s way, pays it’s staff decently and competes fairly is getting ripped apart by global corporations that are free to undercut everyone on account of the fact that they don’t have to pay all of their tax liabilities. These global super-corps that don’t pay their taxes operate on an entirely different cost basis to every other business they trade alongside. A much cheaper cost basis that allows them to drive legitimate businesses out of business. The marketplace should be fair for everyone and this is the failing of successive governments both Labour and Tory that have both turned not one but two blind eyes to corporate and super rich tax dodging. Worse than that, since 2008 an estimated 134 Billion pounds has gone missing every year that is now equivalent to the cost of sending a man to mars and returning him safely home and that’s nearly 1 trillion pounds for one small country like the UK. So if you want to know why we’re not exploring the galaxy right now or that cancer isn’t yet an annoyance on the level of the common cold, it’s because rich people aren’t paying their taxes, but to be fair why should they care when they are all immortal and forever young… Oh wait! I was going to end here but then I thought about the type of people these rich folk really are. Can you imagine you live with a person who is happy to reap the benefits of living in the same house as you. They will let you wash up, do the dishes, cook the food and do the shopping but when it comes to paying the bills they are nowhere to be seen… Also if you ask them for anything they want cash for it straightaway, but they won’t lend you anything even though they are all benefiting from free of charge money (quantitative easing) being given to them by someone else. You should also bear in mind that if need something done they won’t even pay you to do it. They’ll outsource to another house down the road whose occupants are willing to do it cheaper! The rest of the time they will dream up new ways of making you pay for the things you already own or get for free. You see for this class of person the idea that ‘something for nothing,’ actually happens and that ‘something for nothing’ is a necessary part of human relationships and society in general really hurts people like this. It’s like a vacuum to them that they’ve got to plug with their ever increasing greed. If I visit my mother and she cooks me some food, do I get a bill? Of course not, do I tip her some spare cash, of course not! That would be utterly disrespectful and completely unloving. Yet these same people would have you believe that everything has a price and that you should be paying it! What they are really saying is that they want all of the benefits of our modern safe society and that they like having access to our combined buying power, but they don’t actually want to spend any of their money or give any of it away in a compulsory levy. They just don’t seem to understand that by sending our jobs to foreign lands where workers toil for penny’s on the dollar harms everyone. That by removing their labour and their means of production from this country there’s a smaller pool of money to go around the people that they’d like to sell their stuff to. It’s one sided and it’s unfair. These same people also give the green light to slavery overseas and condone appalling health and safety standards for workers wherever they are on the grounds that it lowers costs and makes them more profit. I don’t know about you but I can’t imagine anything more racist than employing foreign people simply because they are cheap! If you question this though they’ll claim you are the racist. These odious and vile people usually do that, they claim to have the best of values whilst denouncing yours as the worst. That’s what it’s like for the bulk of our 64.3 million people living in the UK. You’d never willingly choose to spend an ounce of your time with a person like that, because we all know that it’s the epitome of an abusive relationship yet somehow or other ‘we’re all in it together’. It seems to me that clearly with the best will in the world we’re not all in it together at all and as long as we allow these fat, financially obese, sociopathic, selfish folk to live amongst us we’re never going to see an end to scandals like this or even have the beginnings of a fair society. These are the people, who in the end when the middle class have become extinct will make our country into the equivalent of an arab state where you are either very, very rich or astoundingly poor. The system is called plutocracy. Plutocrats are evil. Have no truck with or tolerance of financially obese people. Their wealth is someone else’s poverty, their joy is somebody else’s pain. That’s why they are called fat cats! Which in my opinion is highly insulting to cats of all kinds all over the planet. So I say that without Taxes there’s no representation so lets make it illegal for them to even talk to an MP or bump into one in the street! They are our representatives, not theirs. Lets get the big businesses and the oligarchs out of our government. Lets also make it socially unacceptable to sit on big piles of money without spending it. Let’s give it the same sting that people get when they admit to drink driving or being a drug addict. Money was never meant to be hoarded, it was always intended to be a means of exchange. Let’s bring that back. So to return to our original subject, deflation and who it hurts. Well if you are a member of the remaining 99% it won’t be you. Prices are falling, your debts will be fixed per month if you have loans. Thanks to deflation interest rates might even fall again so your mortgage will not be going up anytime soon. The pound in your pocket will buy more and prices will keep on falling until they hit rock bottom taking some of the pressure of your family budget. You might need to borrow less if you borrow at all. That hurts the banks and it in turn hurts the government as it increases the value of their overseas debts in real terms as the UK currency wont be deemed to be as valuable as it used to be. Devaluing the currency would be a good thing for any struggling manufacturing businesses as it would serve to make our exports cheaper. Deflation only harms the big banks and their government lackys. When you consider how well we’ve been treated by the aforementioned groups I’m less than sympathetic.